Leonard is a Montreal-based documentary photographer. Her work in general rests in the eye of the worker. 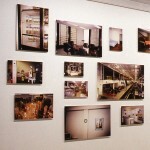 As part of “Working” her exhibition for Mercer Union, Léonard, for the second time, initiated a collaborative project for which she invited 20 participants, asking them to photograph their workplaces. 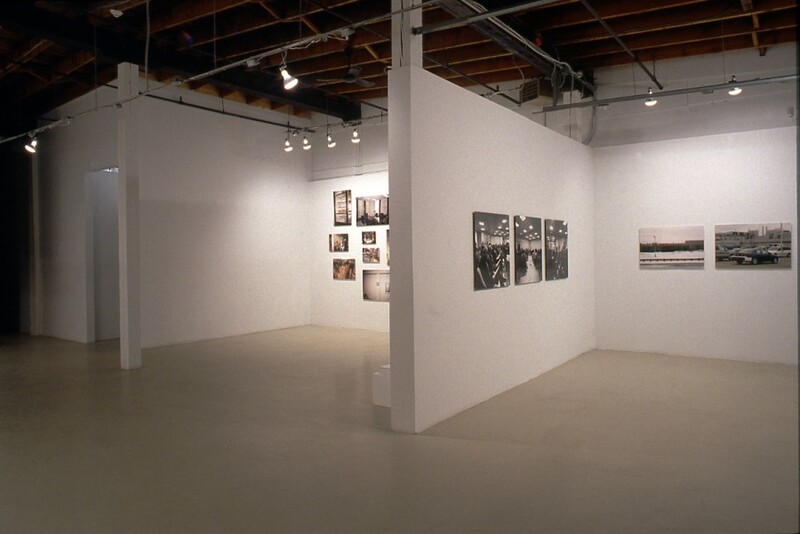 The first of these projects Les Travailleurs was exhibited at Espace Vox, Montreal, 2002. 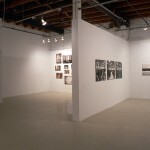 Currently, her work can also be seen in Toronto at the Pari Nadimi Gallery. “Each image represents a field of labour.” From retail to administration, farming, healthcare and food services, across the spectrum, these divisions account for almost all of us. 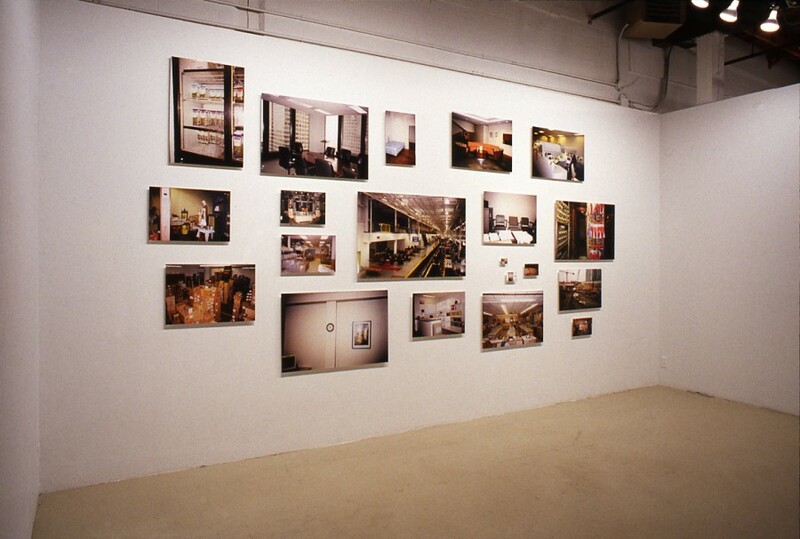 “Together these photographs construct a statistical landscape of work in Toronto. The size of the print corresponds to the percentage of workers in that industry.” Seventy square inches of image equals one percent of the workforce. 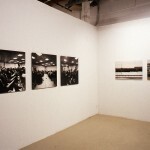 When Léonard relinquishes power as photographer, she adopts a contemporary technique in the field of visual sociology: “give the kids a camera!” But when she collects this photographic research and transforms it into proportional representation, she frames qualitative imagery with quantitative measure, and in so doing, she gives back an invention. If there is a narrative to this exhibition, it observes a bitter arrival in The Walkers. Of this photo-series Léonard writes, “A kind of introspective gaze links with the fight of the body in the cold.” These photographs are melancholy, understated. They sing an increment of sorrow for the embodied economies of immigration, the dematerialization of the Canadian Dream. If there is a silence that runs through this narrative, it is one of many. 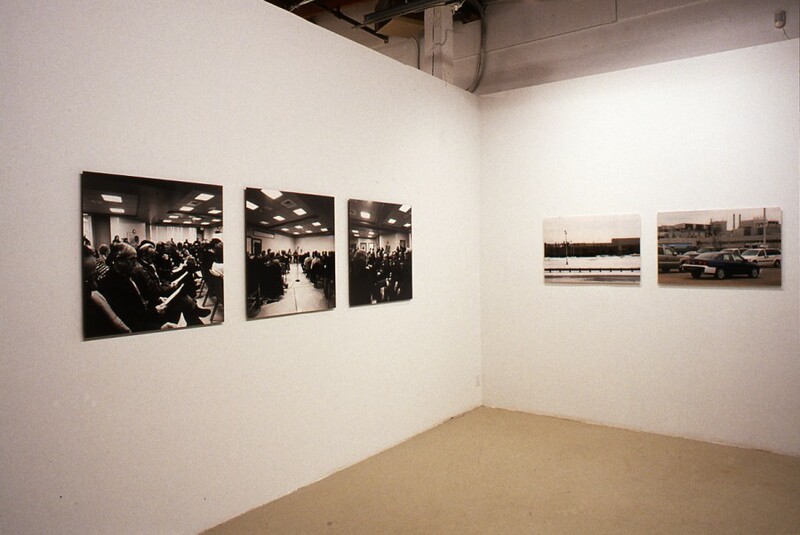 When asked how she can return to the camera after Statistical Landscape (in the eye of the worker), Léonard responds by disregarding the rigidity of “one correct process,” proposing instead to open multiple approaches—“crossing paths of view” to provoke questions about representation’s links to the working sphere. As public space is squeezed out by capitalist momentum, Emmanuelle Léonard asks how photography can expose our collaborative granularity, our social life, when all we can afford, both ethically and economically is empty streets. In Statistical Landscape, the artist’s subtle intervention suggests that the place of work is the self. We are not merely hand/eye coordination or even other people; we are also objects, light and architecture. The worker is a particular force within and against a set of conditions. The absence of the human makes a conceptual afterimage, but more clearly and more radically, it is an image of an empty place. The immediate experience of Statistical Landscape is of a population that has abandoned the workplace. (1) Most recently as a line in Outkast’s latest hit songs: Hey Ya! Outkast. Speakerboxxx/The Love Below. 2003. (2) Joanne Wallador. GM Workers End Strike In Canada. The Militant. 1996; Vol.60/No.39. 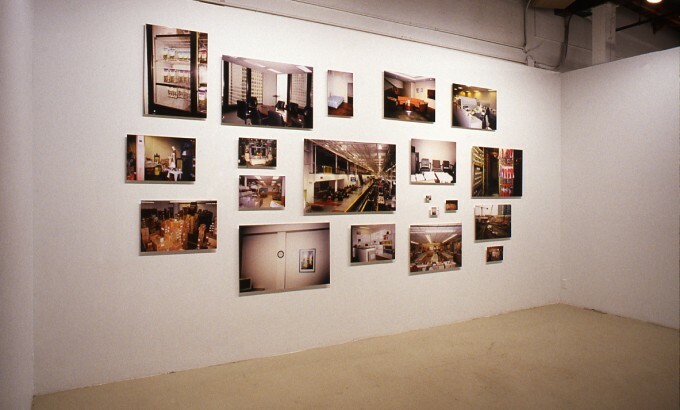 (3) Allan Sekula. Photography between Labour and Capital. Mining Photographs and Other Pictures: 1948-1968. NSCAD/UCCB Press. 1983; p. 193. (5) Hardt M, Negri A. Empire. Harvard University Press: 2001; p. 212.